Channel serious summer vibes in this wrap maxi dress. 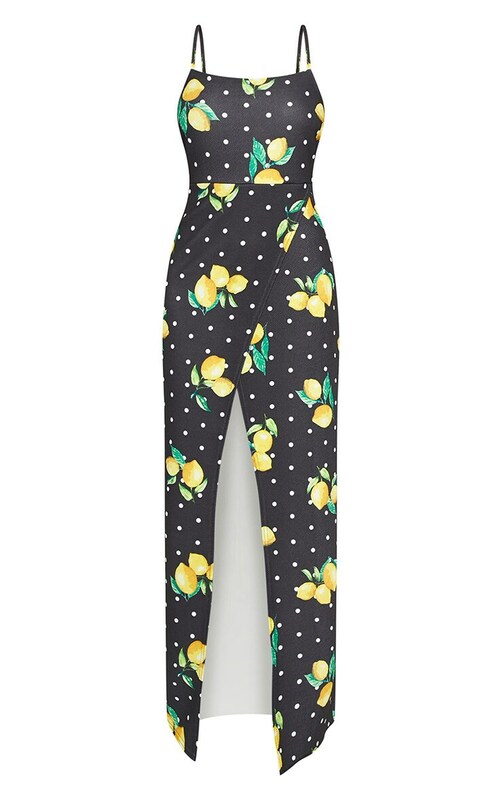 Featuring a black polka dot material with a lemon print, wrap detail and maxi length, what's not to love? Team with lace up sandals and a cute clutch for an evening holiday outfit.